Don't Break the Lock! 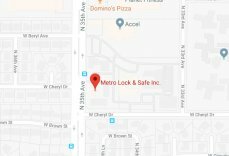 Pick a Good Locksmith Instead | Metro Lock & Safe Inc.
Posted on January 19th, 2017 by Metro Lock & Safe Inc.
It’s an understandable frustration; you only got distracted for half a second and locked yourself out. Maybe you left the keys in your ignition. Maybe you left the oven on. Maybe you left your gate code in your desk. When you’re locked out and can’t wait until the next business day for someone to come out and open the lock the right way, don’t panic! A quality local locksmith will have emergency locksmith services to make sure you aren’t stranded or left with no other options. Why shouldn’t I “Break in” to my own property? While it may seem easy enough to simply break in or force your way into your own property, doing so can cause many problems, some of which you might not expect. If you choose to break in instead of waiting for a locksmith, you might have to break a lock or a window to get in. If it’s at your home and you break the window, you’ll need a replacement; otherwise, you risk leaving yourself and your belongings exposed. 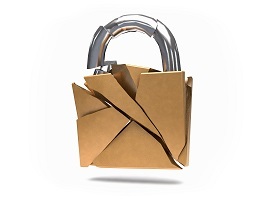 If your break your lock you’ll face similar problems. If you’re successful in destroying the lock and gaining entrance, you’ll also end up having a broken lock, meaning you can’t lock the door afterward and you’ll still need to call a locksmith for a repair or replacement! It may not seem like you could face legal issues from breaking into your own property, but it’s not as straightforward as that. How many burglars have tried the same excuse? If you’ve locked your keys in your car for example and try to break in instead of calling the locksmith, the police might not believe your story. You’d be able to prove that the vehicle is yours eventually, but often your paperwork is in the very car you’re trying to get into, and few cops will open the door for you so you can confirm your story! While you’ll likely be able to get off without heavy fines (save for administrative and other fees), it’s still a headache that’s easier to avoid entirely. If the fabled credit card trick fails (as it often does) or you have a deadbolt lock, the only way to get inside may be to break the door frame or a window. 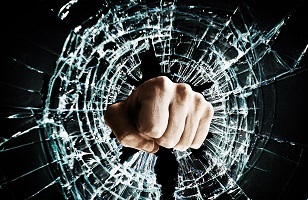 Breaking a window is a dangerous risk, as glass shards can cut your hands and feet, and even the ones that are too small to see can be dangerous. Glass cleanup is extremely tedious, and it can take several passes with a vacuum or other cleaner and you still might not get it all! Breaking the door to your home is a permanent “solution” that can cause a lot of trouble later on. You may be able to solve the immediate issue by breaking down your door, but what about that bent or destroyed door frame? The lock will be broken as well. The costs of breaking down the door can add up quickly, including buying an entirely new lock and getting new keys for everybody that has them. Some stronger doors might damage you more than you can hurt them too; leaving you with nothing to show for your efforts but some nasty bruises and sores. And of course, if a neighbor sees this from a distance, the police will probably be on their way in no time! Can I afford to wait for a locksmith? When you’re in a crisis, it may seem like you can’t wait for a locksmith to come. After all, they have to load up their tools, find your home, examine it, then get in through trial and error, don’t they? Not necessarily. An emergency locksmith can be surprisingly adept. If you call an experienced locksmith who is nearby, they can get to you very quickly. Some can even arrive as soon as twenty minutes after the call! You can’t afford to wait for somebody to drive from several towns over if you have an emergency, so calling someone with a fast response time is crucial. Mobile locksmiths come to you, and they’re prepared with all of their tools already loaded into their vehicle and simply have to drive over to your location. We recommend keeping the number of a reliable locksmith saved in your phone in case of emergencies, so you don’t have to fumble with searching online for a phone number or sorting through the many choices to see if they have an after-hours emergency service. While this may seem like overpreparation, doing this beforehand can save valuable time if and when the emergency situation arises, and can prevent you from needing to take more drastic measures. Can’t I just buy my own lockpicking tools? Although it sounds practical, learning to pick a lock is difficult to master. Having the tools on hand can also get you into trouble as you have to prove that you are not using them with criminal intent. In some states, it is actually illegal to simply own lockpicks. But having the tools and knowing how to use them are two different things. 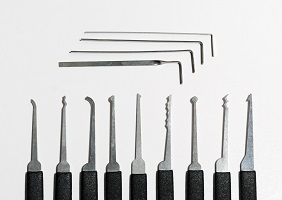 While many locks can be opened with basic lockpicks, some are more complicated and require special tools to unlock. Of course, there’s always the possibility of purchasing a set only to leave it locked inside your home or vehicle–right next to the keys! Calling a locksmith can save time, trouble, and money! Before making the decision to break into an important area you’re locked out of, be sure to call your local locksmith first. They have the tools to get into basic house locks, but can also get into access panels and other digital locks and smart key vehicles as well. Making a quick call to a local, reliable locksmith can save you a lot of trouble, and they may even be able to get into the door as fast as you could break into it on your own! Can a Locksmith protect you from thieves or break-ins?